Mates of State are a husband/wife indie pop duo consisting of Jason Hammel (drums) and Kori Gardner (keyboards). The new album Mountaintops comes three years after their last original LP, having released Crushes (The Covers Mixtape) in 2010. Mountaintops is a much welcomed return bursting with infectious pop harmonies, rich synthesizer leads, and exceptional songwriting ability. The production is slick without being too glossy or overbearing. Many tracks includes subdue guitars, percussive instruments and just the right amount of drum machine. 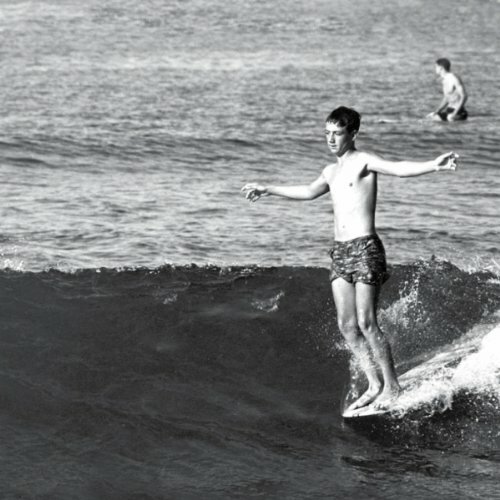 Although there’s no reinvention of the wheel here, this album still proves to be adventurous – and just plain infectious. The melody on opening track Palomino immediately begs to be hummed. It’s quite catchy and compliments the thick spacey layers of synthpad. Although the duo flirts and dabbles in electronica, the strong vocal cohesion still keeps the sound rather organic. This is refreshing and consistently exhibited throughout the album. The ballad Sway is simply a treat, it strays far from cheesy or stereotypical. This synth led track is incredibly danceable and provides nothing but sweet lush melodies. Although most of the tracks remain upbeat, the band is not afraid to have somber moments. With electric guitars in the forefront, the rock oriented At Least I Have You adds to the duo’s artistic integrity by pulling off a legitimate state of melancholy. The more minimalist Unless I’m Led takes its time, drifting and meandering through a state of bittersweet heartbreak. The ability Mates of State have to shuffle through various emotions really helps to give the songs distinct personalities. Maracas and Basement Money display a more playful side of the band, with quirky lyrics and imaginative electronic sounds. Total Serendipity showcases crafty song writing skills, catchy hooks and comes off as just plain witty. Mountaintops proves to be such a listenable album due both to the sheer variety and consistence. It comes across as both musically mature and adventurous. 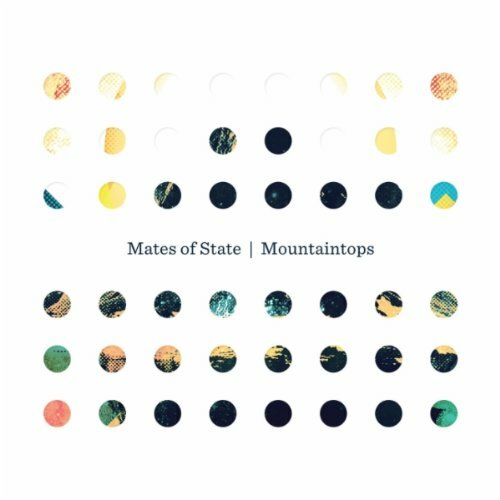 Mates of State are currently embarked upon a U.S. tour supporting their new album. They will also be appearing at this year’s Voodoo Music Festival hosted in New Orleans, Louisiana. The Rapture is all grown up. Or so that’s how it seems from their most recent release, In The Grace of Your Love. Not quite the weird, artsy, punk, dance, disco sound I’ve grown to appreciate, but I see it as a more toned-down version of what they once were. Because nothing lasts forever, right? Still weird but each song is a little more carefully composed. How Deep Is Your Love, also the single, is a nice treat toward the end of this album. Miss You sounds like they’ve been listening to lots of Cheap Trick with the title of the song as their catchy hook. With the brash vocals of Luke Jenner always at front and center of every song, it sometimes makes it difficult to appreciate the lovely melodies and feel-good heart-warming tone of a song like Children. I would put on this album while I’m puttering around at home on a Saturday night, when there’s really nothing on the television I care to watch, so I mute the TV and the Rapture becomes the soundtrack to whatever’s on the screen… while I polish my toenails perhaps, getting high off the nail polish scent, while ruminating about riding on unicorns. In The Grace Of Your Love, as beautiful of a title, reminds me of a fungus; you just sort of have to let it grow on you.